Last of my State Fair pictures. There wasn't much sky to see that day, overcast and a little chilly. Perfect Fair weather. 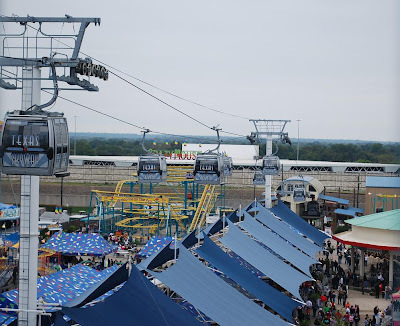 Your looking at the Skyway ride taken from the Texas Star. Terrell faces District 15-4A foe Red Oak tonight in Red Oak. Here is a preview. I am hoping my week 6 NFL picks are better than last week. My upset special is Baltimore going to Minnesota and beating the Vikings.